First published in 1995. 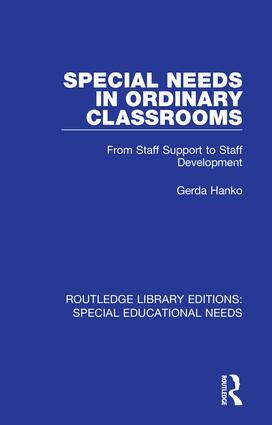 This book responds to the multiplying demands for support and training for teachers of integrated classes in mainstream schools. Such support through school-based development initiatives enhances teachers’ abilities to meet the emotional, behavioural and learning needs of their pupils. This volume aims to assist school staff to further their efforts in curriculum content and delivery, teacher-pupil and classroom relationships and parent involvement.